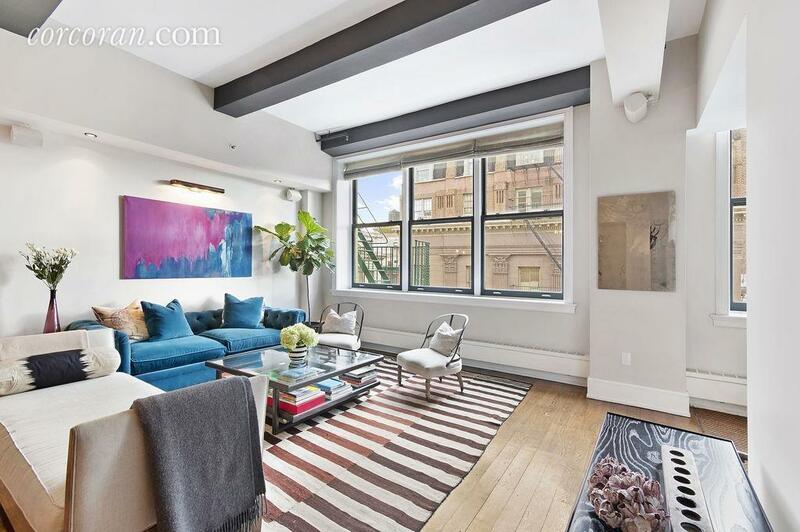 Named for its envy-inspiring spot in downtown Manhattan’s chic Nolita neighborhood–where Soho and Little Italy meet the colorful edges of Chinatown, the Solita building at 161 Grand Street is a classic 1911 loft building that was converted to condos in 2001. 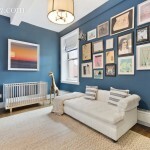 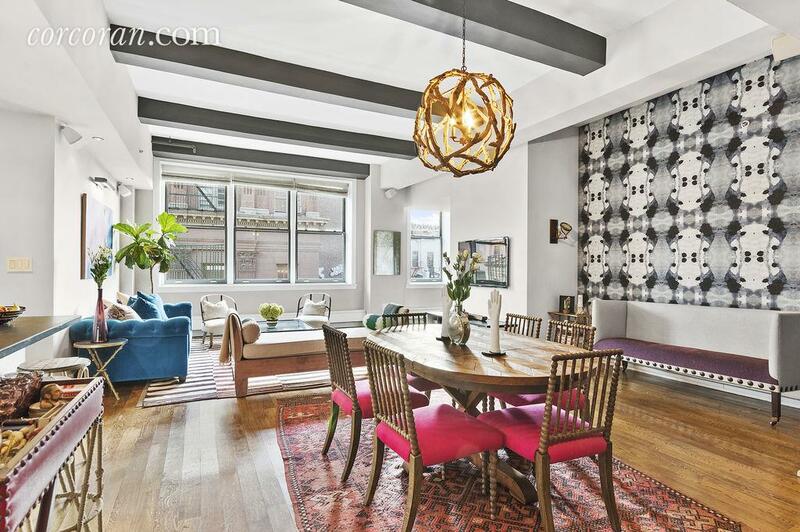 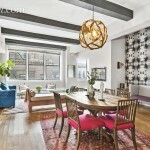 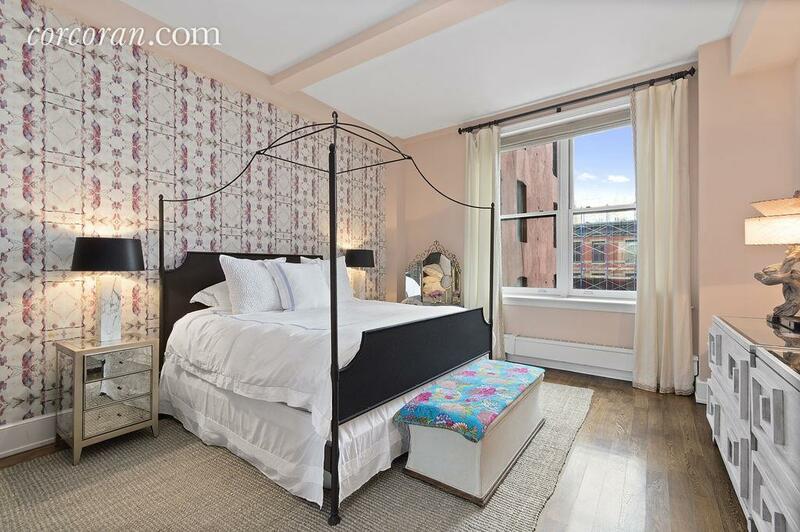 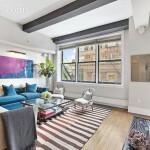 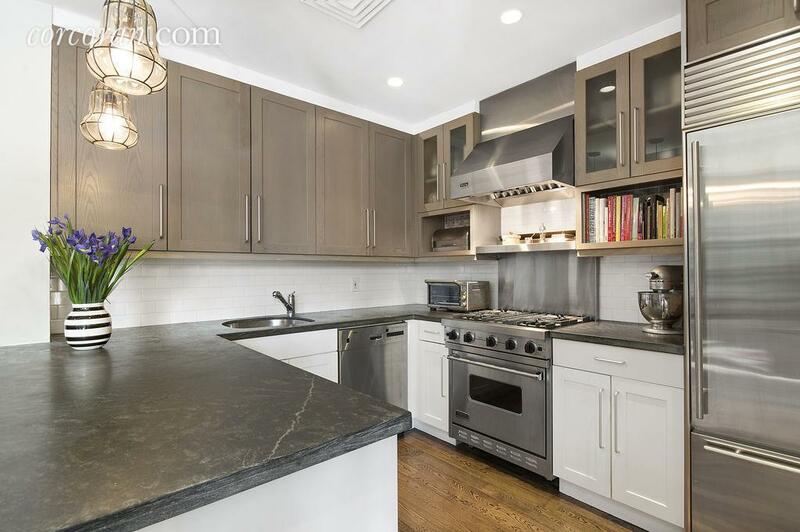 Among its 18 rarely-available half- and full-floor units–one of which belonged to Sofia Coppola and hubby Thomas Mars until they sold it in 2012–is this updated and colorful 1,831 square-foot two-bedroom loft, which just arrived on the market for $3.5 million. 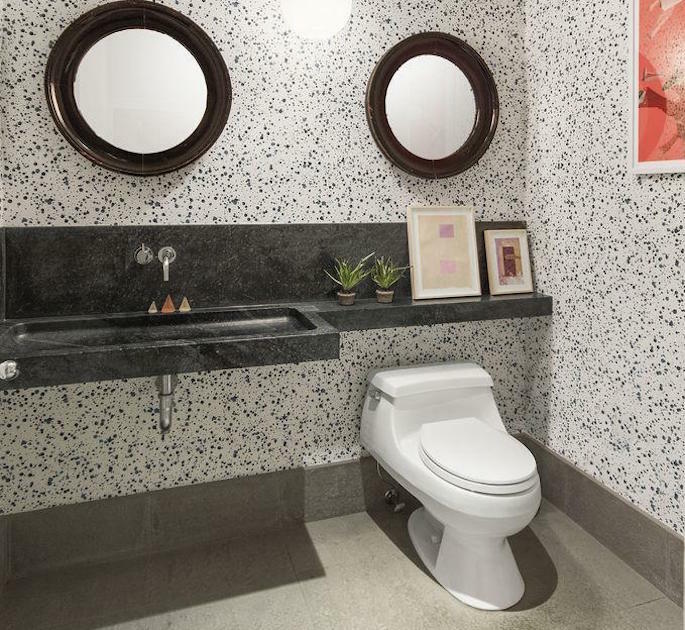 With a private elevator, central air, package-fetching super, video intercom and rooftop terrace, there’s no need to trade condo comfort for loft bones. 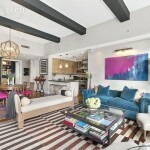 But the price–about a million more than its (most recent) 2012 sale price–more likely reflects the tiny collection of impossibly cool boutique shopping, dining and residential blocks that have long been among the city’s most coveted while retaining at least some of their charming, ever-so-slightly gritty old New York feel. 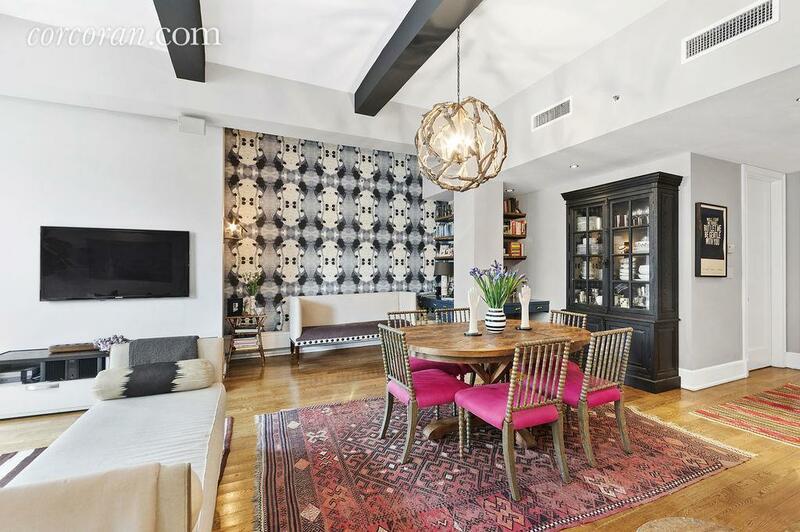 The listing says this polished loft “epitomizes the discreet luxury that Nolita is cherished for,” and it’s hard not to agree when taking a look at the pre-war space with 11-fooot beamed ceilings, generously-sized rooms and four oversized east-facing windows. 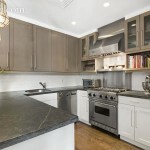 The open kitchen (more at home in an actual loft than most apartments) is outfitted in soft stone, gleaming tile and Viking, Bosch, and SubZero appliances. 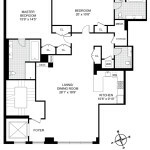 The master bedroom has an ensuite marble bath–the apartment’s two and a half baths aren’t here at the expense of closet space, which is abundant; there’s also a separate storage bin in the basement. 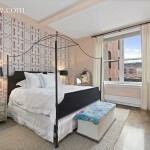 Both bedrooms are sizable and have west-facing exposures. 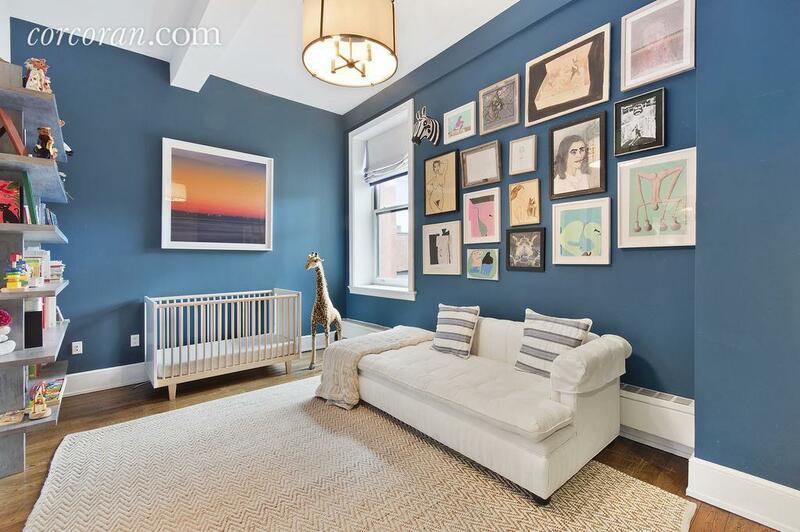 The building is well-maintained and has the aforementioned on-site full-time superintendent/handyman who will apparently accept and hang onto your packages while you’re out. 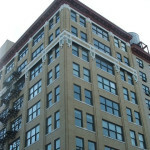 But the best amenity may be the landscaped roof deck for access to vistas that overlook the Beaux Arts landmark Police Building at 240 Centre Street.